MARQUETTE, MI – Beatrice J. 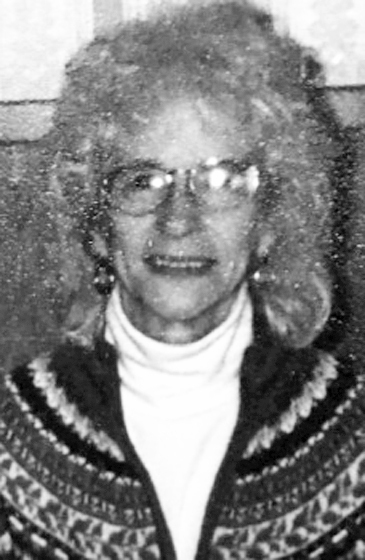 “Bea” Stone, age 87, of Marquette, on February 3, 2019, Heaven gained another Angel at the Norlite Nursing Center where she had been a resident. Bea was born November 29, 1931, in Marquette, a daughter of Louis and Pearl (Bassler) Boyer. She was raised in Marquette and attended Bishop Baraga High School where she served as class representative, participated in the Barket, Baragan, Quill and Scroll, the Speech Club, and St. Michael’s Club. She graduated in 1949. Bea was employed throughout the years at the Marquette Baking Company and later retired from the Social Security office as an administrative assistant, retiring in 2003. As a Norlite resident, Bea was very active in their activities such as bingo, dancing, listening to music, crafts, tea parties, touring Christmas lights, and outings for pie. She was known for her beautiful smile and became one of Norlite’s favorites. Bea was an avid Packer fan with Clay Matthews being “her guy” and attended her first Packer game at Lambeau Field with her family in 2013. She also loved her dogs, whom she referred to as her babies. Bea is survived by her children, Robert (Maureen) Stone, Kay (Bill) Yandian, Linda (Bud) Reynolds, John (Janet) Stone, Greg Stone (girlfriend, Lisa Hammill), and Lisa Stone; eleven grandchildren, Bobby, Marisa, Jeff, Emily, Kellie, Jodi, Stacie, Alissa, Steven, Derek, and Averie; ten great-grandchildren, Olivia, Alexis, Elle, Allison, Wyatt, Hannah, Preslie, Connor, Cameron, and Remi; several nieces and nephews. She was preceded in death by her parents; her brother, Louis “Bob” Boyer; and a grandson-in-law, Eric Mason. Friends may call at Fassbender Swanson Hansen Funeral and Cremation Services on Friday, February 8, beginning at 10:00 am until the time of service at 11:00 am. Rev. Brandon Oman will officiate. In lieu of flowers, memorials may be directed to UPAWS (Upper Peninsula Animal Welfare Shelter), P.O. Box 968, Marquette, MI 49855. A reception will follow in the reception room located at the funeral home. Interment will be made in the Holy Cross Cemetery.